Does iPhoto for Windows Exist? iPhoto is an image app that is strictly running on Mac and iOS. With it, you can browse, edit and share photos like never before. However, if you want to switch from Mac to PC, you will have problems as Apple is not offering iPhoto for Windows. Thankfully, all is not lost as there are many free or paid alternatives that you can use to do most, if not all of the editing and organizing tasks which you are used to doing with iPhoto. Find out more below. When you are using iPhoto, you are able to take advantage of many features that allows for convenient organizing, filing and naming of photos. The app will organize photos by events, perform basic editing tasks and play around with effects before sharing through email or any other medium. The app can also allow you to create unique photo albums, photo calendars and more. Now, if you are transferring to Windows and you don’t want to miss out on using the features of iPhoto, you're in the right place. The below iPhoto for PC alternatives are optional depending on how you use iPhoto on Mac. We know it's easy to transfer photos from iPhone/iPod/iPad to your Mac using iPhoto. But it's impossible to do the same thing on Windows because iPhoto only supports Mac. You can't install iPhoto on Windows. Fortunately, you can find an iPhoto for Windows alternative to transfer photos from your iOS device to your Windows folders. 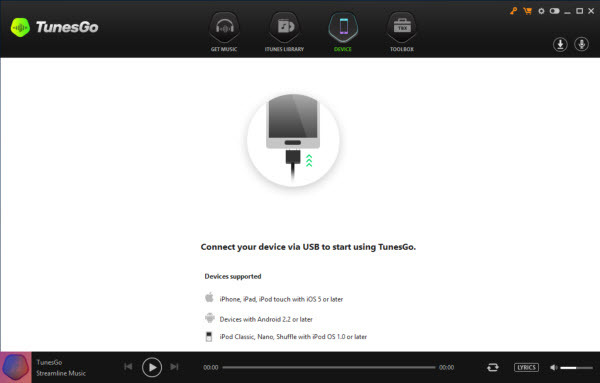 Wondershare TunesGo for Windows makes it easier than ever. You just need to select the photos and then export photos in one click. Get it now to have a try. Movavi Slideshow Maker helps you turn your still photos into good-looking photo/DVD slideshows so you can play on your iPhone/iPad, big-screen TV, DVD player, etc. No camcorder is required. Just drag and drop photos to the storyboard, improve photos, overlay music and titles, and you're done. It's easy to export your movie or burn to DVD without installing a DVD burner. You can even upload to YouTube directly from this iPhoto for Windows slideshow creator. Try it for free now. If you just use iPhoto to enhance your photos, Movavi Photo Editor is recommended. This iPhoto equivalent runs well on Windows. It includes handy selection and erasing tools to help you get rid of unwanted elements on your photos. Essential image editing tools are also included. All image formats are supported. If you want more powerful image editor than Movavi Photo Editor, go for Corel's photo editing software . Don't know how to transfer photos from iPhone/iPad/iPod to your Windows PC? Wondershare TunesGo for Windows (free trial link) let you upload your photos, videos, music from your device to your computer like dragging and dropping. It have never been easier to move contents from iOS devices. Stoik Imagic is another powerful iPhoto for Windows substitute. It comes with two account types: Free and Premium editions, both of which provides powerful image importing, browsing and editing features. It’s highly recommended here as the best iPhoto for PC alternative. 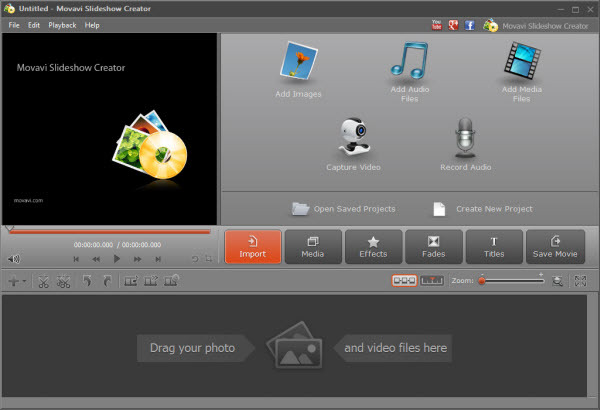 Movavi Photo Suite is offering many powerful features that similar to iPhoto. It is a photo editor, image organizer and a photo sharing app. This app has an image viewer to substitute for the default Windows image viewer. An intelligent photo import tool is included to get photos from iPhone, cameras or other removable devices. When you plug in your device, the import wizard will start automatically (depending on settings). You could use it to directly share photos on Flickr, Picasa Web Album and YouTube, or share photos in DVD, Email, Slideshow, Collage, Screensaver, Calendar and so on. The sharing possibilities are endless. When using Movavi Photo Suite as the iPhoto for Windows, you also have the ability to change the exposure or correct the color of your photos. It provides various other basic editing functions as well, such as cropping, reducing red-eye and resizing. No matter you're a home or professional user, you'll find Movavi Photo Suite is definitely the right tool to manage and share your photos. Similar to iPhoto, Movavi Photo Suite enables you to easily view photos as a slideshow, and if you like it, just create a slideshow movie file that you can share easily with family and friends. Movavi Photo Suite is where your photos live and come to life. Automatically import photos from iPhone, iPad, iPod, Digital Camera, etc. Find, sort and manage all your photos at one place. All common and advanced editing are included, from Rotate to Red Eye Removal, from Resize to Exposure Compensation, from Crop to Skin Makeup, etc. Get more out of your photos: Slideshow, Collage, Greeting Card, Wallpaper, Frames, Calendar, Edges, and Cliparts. Easily print and share photos online. About 50 special effects to enhance your photo in one click. Create Jigsaw/Mosaic/Switch games from your photos. Edit RAW photos, create HDRs and panoramas automatically. Easily extract faces in selected photos. Fully compatible with all Windows from Windows XP, including Windows 10 (iPhoto for Windows 10 alternative). Learn more about Wondershare TunesGo.